Real Madrid earned a very impressive 3-0 victory away at Juventus in the first leg of their quarter-final tie thanks to two goals from Cristiano Ronaldo, who Gianluigi Buffon praised ahead of the second leg. The veteran goalkeeper explained that the No.7 is consistent and so important for his team. 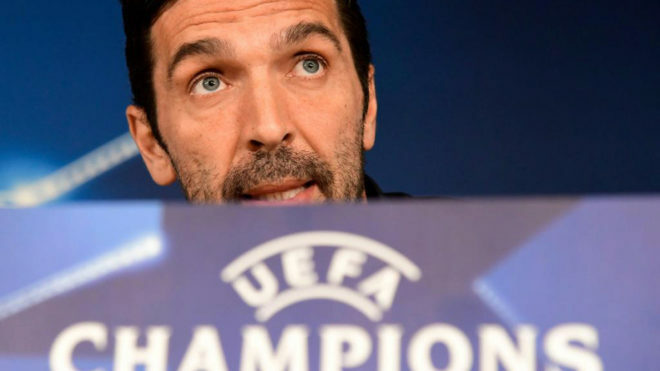 “I don’t know if he is the most complete player, because I’ve faced some great footballers in all these years, but right now for his position he is the most decisive,” Buffon said in Tuesday’s pre-match press conference. “I have no doubts about that. Discussing the tie and Juventus’ chances of mounting a comeback, the goalkeeper was realistic without being defeatist. “We’ll have the same mentality as always with the objective of obtaining the best result possible,” he said. “It is a match which should be honoured, both because of the rival and the setting. Asked if this would be his final Champions League game, Buffon didn’t want to predict the future. “It’s possible, but it doesn’t depress me,” he said. “When I was a kid I’d have signed up to do what I’ve done and to have my final game at the [Estadio Santiago] Bernabeu. “I’ll look at the positive side of the situation. The second leg kicks off at 20:45 CET on Wednesday night.